A thriller about a standoff between a young man, his fiancée and his best friend who comes to his aide. Big Bang Theory Recap: Will Sheldon and Amy Survive Living Together? An American intern at U.K. Vogue helps her friends find love. A woman snoops through her boyfriend's palm pilot and reveals his former girlfriends, which causes her to question why they're still listed in his little black book. Revenge is only one door away. Art Deco Neo-Noir has more style than substance? 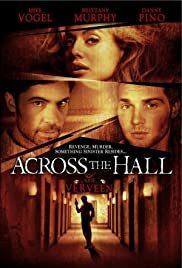 Across the Hall is directed by Alex Merkin and Merkin co-writes the screenplay with Jesse Mittelstadt and Julien Schwab. It is adapted from Merkin's short film of the same name that aired in 2005. 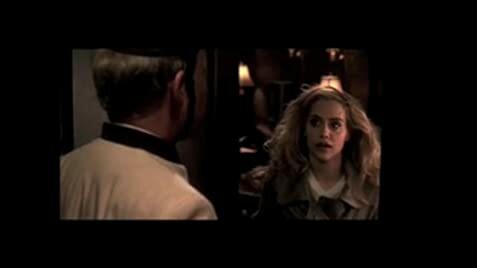 It stars Mike Vogel, Brittany Murphy, Danny Pino, Natalie Smyka and Brad Greenquist. Music is by Bobby Tahouri and cinematography by Andrew Carranza. Alex Merkin clearly loves film noir and knows his noir onions, this is not in doubt due to the twisty story, characterisations and superb stylistics on offer here. And just in case anyone is in any doubt about this, the keen of noir eye will notice the film showing at the theatre next to the Riverview Hotel is Nightmare Alley, the brilliant Tyrone Power noir pic from 1947. On the style front the production is top draw, Carranza's photography is both beautiful and ghostly, creating a brooding atmosphere befitting the plot machinations. The look is supplemented considerably by Tahouri's edgy pulse like musical score, while the Art Deco design of the Riverview is a splendid accompaniment to dark deeds unfolding.